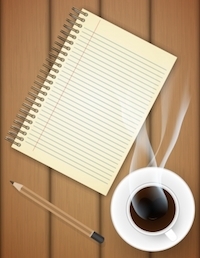 This week Edie Melson offers you a challenge to write. This is a great informational post with seven very logical things to do so you are ready to write. For you, the challenge is to simply write and not wait around. Assess your writing habits. Prepare yourself to write and then do it. This week we challenge you to look over your work, make a list of things "to-do" that will get you started on your project. Date them. Then meet your deadline. Here's the link to the blog or you can visit our blog at www.ashevillechristianwritersconference.com. Boot Camp is SOLD OUT! Let me first say thank you for praying for God to provide. He has answered our prayers. Boot Camp is sold out! We are honored God has chosen us for this work. Even more honored that He has called you and you have answered His call. What's a conference without some sort of issue? It wouldn't be a conference. We've had terrible issues with conferees receiving their emails. I've sent weekly emails for the last 3 weeks. This is week four. When I realized many of you did not understand how to mark us as a safe site in your security, I began sending the emails personally, in small groups of 10. Needless to say this takes time. To take it a step further, I've added the newsletters to our website at http://ashevillechristianwritersconference.com/newsletters/. One way or the other, you have access to the information. I can't read it for you. So please, go to the website, click on the newsletters and read through. where the classes are held, etc. So MARK US AS SAFE. Please take time to read what is on the website. I promise - EVERYTHING you need is there. The complete schedule, the classes, it's all there. I know it freaks some of you out...but you don't need to do anything about classes until Friday night of Boot Camp! We will explain how our tracks work for you in general assembly on Friday night. All you need to do is look at the tracks, decide which one fits your needs, and then attend. Purchase the MP3's and don't worry about the classes you might miss. We really do have it together! I promise. 1) A Boot Camp Roster - You'll get this the week before boot camp so you can look through, and familiarize yourself with our faculty, staff, and your peers. This is why we've been after you to send those bios and photos of yourself. This is an amazing tool. Not only do you have an idea of the faces you will see, but it becomes a valuable networking tool after boot camp. You don't have to lug around business cards. We're making this EASY for you. 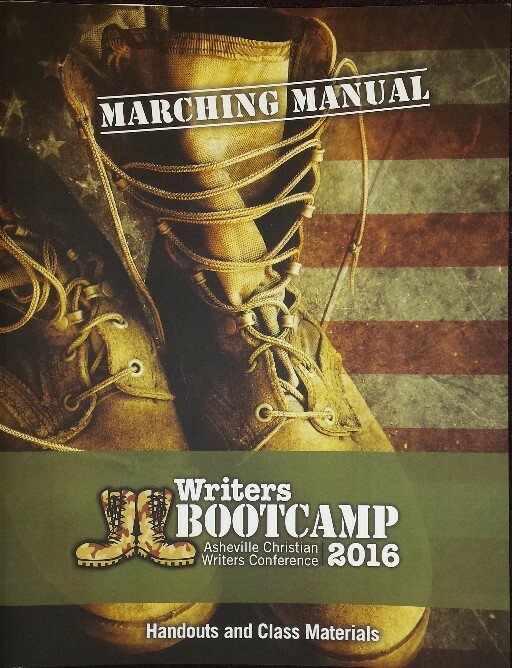 2) A Boot Camp Marching Manual - This book contains every handout used in EVERY CLASS. We know there will be classes you cannot attend...but we won't let you miss a word, so we've fixed that issue. You'll get this very nice manual filled with all the handouts. This along with your purchase of the MP3s, gives you the conference to take home. You have the handouts, and you can listen to the class, just as if you were there. Again, we want you to take home every moment of Boot Camp. So purchase the MP3s, you get the manual as part of your conference materials. There's no need to worry about missing a class. 3) www.ashevillechristianwritersconference.com - The website has our blog, with additional teaching for you. All you have to do is click, scroll, and read. It's a great tool. I promise we got you covered. On February 19, you will arrive at the Cove. If you've never been to the Cove, you'll appreciate their very tight security. Stop at the guard gate, check-in, and head up the mountain to your hotel. (Don't worry if they ask to see your driver's license. Sometimes they randomly check these to be sure you are who you say you are - but your name is on a list so they know if you are to be there or not.) I will have the name of the hotel we are in a little closer to arrival when we've been assigned. DO NOT ARRIVE BEFORE 12:00 NOON. You will not be admitted onto the property. If you arrive at noon, you'll have plenty of time to check in at the hotel, and head straight to the conference center. (Get your suitcase after early bird classes). If you are staying off campus...no worries. You'll get a parking pass that allows you back onto the property without a hitch. You'll go to the elevator across from the very WARM fireplace, and push 3rd floor. TA-DA! When the doors open you'll be greeted by our Dee Dee Parker, Kevin Spencer, and Bennie Jones. Scott and Renee McCausey will be there, Eddie Jones will be there. Terri Kelly, OUR FACULTY. EEEEEEHHHH....I can't wait! We'll put you straight in to the early bird classes, give you your packet, and let you enjoy the early bird classes. What to wear: Dress modestly. Leave your holey (not to be construed as holy) jeans at home. But do come comfortable. We want you to be warm. So nice jeans and sweaters are very acceptable. We never know about the temperature. In the mountains the weather can be 60 degrees one day and 20 degrees the next. So come prepared. We want you comfortable. In other words, you can leave your fancy duds at home. Jeans and sweaters are great. The Eternal Feeding Trough - On the main floor of the Cove, near the dining hall, is what we refer to as the eternal feeding trough. There are soft drinks, water, coffee, tea, and get this SOFT SERVE ICE CREAM - all the time. There is no charge to you for these items. So feel free to grab a cup of coffee, or a soft drink, even ice cream and bring it along with you. We also have coffee, tea and hot chocolate on our floor. These are some of the nice amenities offered by the Cove. All we ask is that you clean up after yourself. Be courteous and put your cups, napkins, and straws in the trash. My momma raised me as a true mountain gal - "Cindy," she'd say, "When you leave a nice place, you leave it better than it was before you got there." And I try my best to leave the Cove in a beautiful state when I leave. Please clean up after yourselves. Camp Meetings - In the evenings, after Boot Camp, it's great to meet in the reception areas in the hotel. These are huge. You can't miss them. Gather around a fireplace and chat with your new friends. *Pray that folks will get their information. If you have friends attending, check with them and be sure they are getting the emails. *Pray for good weather (we've had a yearly winter storm - and all that is due according to the Farmer's Almanac, is flurries and rain showers. But continue to pray for good weather. 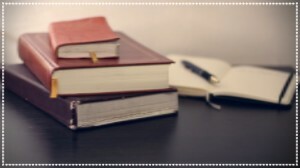 *Pray for your call to write and the clarity you need to step out in faith to be a writer. *Pray for our conferee who is seeking to find God's direction in his work. Every conference you attend can become a year-round conference IF you purchase the mp3s. We offer all our classes and the keynotes for $15. You'll get EVERY class to listen to year-round. I always purchase the conference cds, or mp3s at the conferences I attend so that I have learning year round. Last summer as I drove to Pennsylvania, I listened to the entire 2015 Blue Ridge Christian Writers Conference. For 7 hours I was immersed in one-on-one teaching. I still refer to my 2014 Write to Publish cd's, and my 2014 Greater Philadelphia cds. Our mp3s are very inexpensive. We do this so you have access to all the classes and you don't have to worry about missing something. Consider purchasing the mp3s at the Boot Camp Book Store. What is a 15-minute appointment? These are appointments you can make at boot camp, at no additional charge, with our faculty, editors, publishers, and agents. These folks are waiting to chat with you about your work-in-progress, listen to you pitch your project, or answer questions you may have about publishing. Once you get to Boot Camp, Terri Kelly will fill you in on signing up for appointments. I encourage you to do this. It's great practice to learn how to sit on the other side of the table and talk with writing professionals. *PLEASE MARK THIS EMAIL ADDRESS AS SAFE in your email security. Many times our mailchimp notes hit spam. This is your life-line to information for boot camp. For those last minute conferees who just registered. Please send your 50 word bio and a .jpg of yourself to: [email protected] (NOT TO ME) We are both Cindy's, but it's Cindy Saab who is kind enough to do our roster this year. I cannot impress upon you enough, the importance of your sending this to us. Our roster is a vital tool for boot camp. Please, send your bio asap to Cindy Saab NO LATER THAN SATURDAY, FEBRUARY 13.